Congratulations Animal Training 101 Graduate!!! 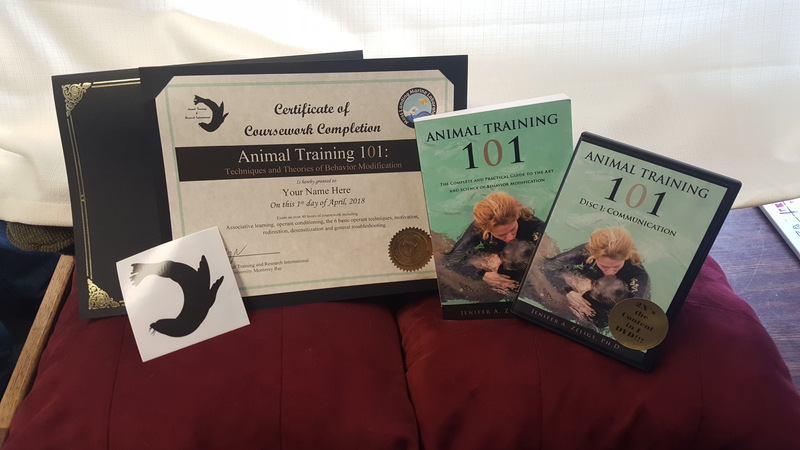 Cost: Animal Training 101 certificate $50 or bundle your certificate with an Animal Training 101 DVD & book combo autographed by Dr. Zeligs, personalized just for you for only $100 (plus shipping) a $120 value! Click on the Animal Training 101 Certification button below to purchase your certification today! !